Luke Shaw, Ashley Young and Marcos Rojo ruled out. Ki Sung-yeung, Nathan Dier and Fernando Llorente ruled out. Swansea City Association Football Club (also known as The Swans, or The Jacks: the reason behind the latter is unclear, but there are two possible origins: one is the reputation of local seamen "Jack Tars" in the early 19th Century, while the other is the black retriever dog called Swansea Jack who rescued no fewer than 27 people from drowning in the River Tawe and Swansea Docks during the 1930s) are a Welsh professional football club based in Swansea, Wales. 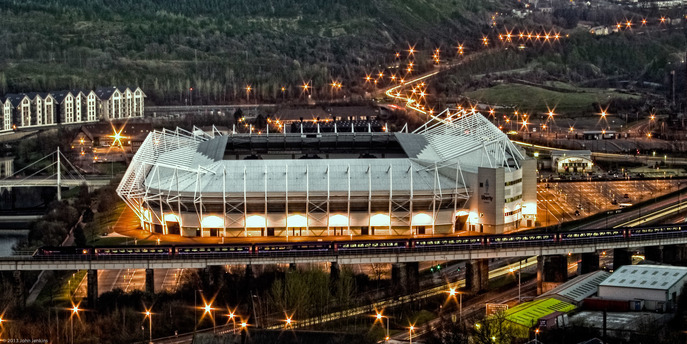 Swansea were founded in 1912 as Swansea Town - the area around Swansea traditionally had been a rugby area, and despite previous attempts by a football club named Swansea Villa, there were no notable football clubs until the establishment of Swansea Town AFC in the summer of 1912. Following the lead of many other South Wales sides, the club joined the second division of the Southern League for the following season. A site owned by Swansea Gaslight Co., called Vetch Field due to the vegetables that grew there, was rented to be the club's ground. The club's first professional match was a 1–1 draw at the Vetch Field against Cardiff City on 7 September 1912. In 2011 Swansea City became the first Welsh football club to gain promotion to the Premier League, and have since built a firm reputation as one of the most attack minded clubs in the league professing an attractive brand of football, starting with former Everton manager and current Belgian national team head coach, Roberto Martínez in League One, and subsequently the likes of Brendan Rodgers and Brian Laudrup. Swansea City's main rivals are Cardiff City, with the rivalry described as among the most hostile in British football - with matches between the two clubs known as the South Wales derbies. 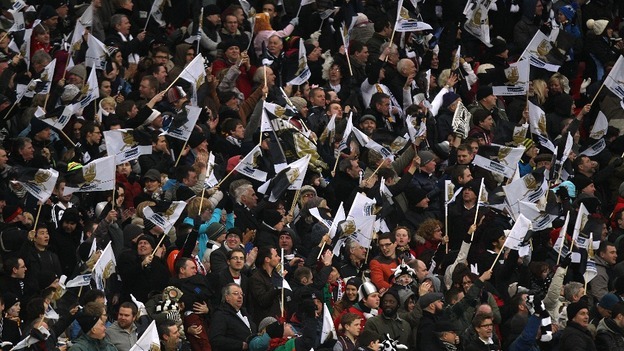 Swansea play their home games at the Liberty Stadium. Good opportunity to build up some momentum at the start of the season. Hopefully we take advantage of those fixtures. Same team except Martial in for Rashford please. No way Jose will be dropping Rashford after today. I was going to do that! Yeah I'd like that too. Rashford was great in second half though. Can Rashford do a job on the right wing? Martial - Mkhi - Rashford behind Lukaku could be great. Swansea are terrible BUT a bit of a bogey side for us. Given our away form this season I've no idea how this will go. Hopefully Sigurdsson would have gone to Everton by next week so our game plan is a bit easier. This, but I'm not sure Rashford deserves to be dropped. Win or lose the result will tell us a lot. This is football. I can't wait 6 days for this it's too long. Just rotation. He is our backup striker at this point. So its better to keep fresh at least till Zlatan comes back. Plus its a case of rewarding Martial since he scored a goal and assisted another if not his confidence will be shot. I'll go with the same team as today without changes. We can easily get 3 goals past them. Yeah, I thought he was fantastic tonight. Swansea have been something of a bogey team for us, but I'm quietly confident. I'd imagine it'll be the exact same starting 11. Martial to replace Rashford around the 60min mark; Herrera to get some minutes in place of Matic; Fellaini in for Mata for 15mins or so. Lukaku, Mata, and something weird like an own goal. What do people think about herrera? We bossed it without him today, has matic replaced him in the starting lineup? Mata goes away for some extra protection in midfield in an away game. I don't think so. He may get the start next weekend. Herrera is a bit more defensive so we may see Mata dropped and Mhkitaryan moved wide. Or, Jose may opt to start with same lineup and change tactics later depending on how we're doing. Carrick is the one who should worry about minutes with Matic. Carrick will get the odd game here and there and will probably mainly play in the cups. Not really. He will/should play in a 3 man midfield against big teams behind Pogba. Only change I would make is drop Mata, move Mkhi into the middle and start Martial. He looks like a different animal right now. Intense and focused in his play. Mkhi was in the middle today. Mata was on the right. Straight swap then. Mata for Martial. Would much rather see him on the left. Rashford is more capable of swapping wings. The only change I foresee is Fellaini coming in for Mata. I worry that Rashford will lose his offensive potential on the right, as he loses his ability to cut in and shoot on his stronger foot. Of course he is brilliant at taking defenders on and whips in devastating crosses so that's a beneficial reason to play him there. So if he starts there then I'd think that he should be given freedom to drift in and out from a supply role to supporting Lukaku as a second striker. Valencia being the machine that he is will offer sufficient play from the right flank. I'd be tempted to start Fellaini in this one. Clement had Swansea set up really well last season, I think Fellaini could unsettle them. I'd start pace on either flank as well, Martial and Rashford both to start. Hope we can take a 2-0 lead soon so Perreira can get a chance at least for the last 20 minutes. Reckon one change - with us being away I think he will bring in Herrera for Mkhitaryan or Mata. Matic-Pogba-Fellaini... the biggest midfield trio in history of football? Micky had a brilliant game and shouldn't be dropped. Best eye for an assist in the team. We aren't playing WHU next week. Swansea are at home are a bogey side for us and will actually turn up. I could see us having a three man midfield. He can play from the right as well. Swansea should be flattered if we change formation for them. Maybe swap Mhki for Pogba, and put Herrera in Pogba's place. But based off today's performance, this is the formation i'd like to see. I woul start 4-2-3 -1 again. Get ahead by 2 goals and bring Fellaini and Herrera in.